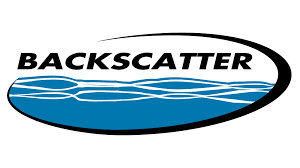 At One World Dive & Travel, we pride ourselves in offering one of the largest selections of top of the line equipment from most major scuba and snorkeling manufacturers. Whether you need a new mask or fins, or are ready to take the plunge and purchase or upgrade your regulator or computer, we have the expertise and quality products to make sure you get the right equipment every time. Our qualified instructor staff has the experience and diving knowledge to help guide you through the maze of products available, with a pool right on site giving you the opportunity to splash your new gear before your next trip. Purchasing your life support equipment is too important a decision to leave anything to chance. Come learn from the experts! 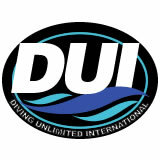 One World Dive & Travel will match any price from an authorized dealer! Just ask! We will give you the best price we can without compromising our service or your warranty! We are proud to offer a 30-day Customer Satisfaction Guarantee. Return a product within 30 days and the items are in new condition with original packaging, receive a 100% credit or refund on any item. Return a product within 30 days and the items are used or not returned with original packaging, we will provide a 50% in-store credit on the returned item. Purchases of Used items cannot be returned or exchanged. *Due to copyright laws, books and DVD's cannot be opened. Our refund policy does not apply to special orders or non-stocking items. Help us customize your scuba dive equipment to your diving style. Answer the following questions to help us determine the best equipment that suits your personal diving preferences. What type of diving do you like to do (deep, wreck, technical, warm water, etc.)? Where is your next trip and how much diving are you doing on that trip? Have you owned any equipment before? If so, what features did you like or dislike? Have you rented equipment before? What did you like or dislike about that experience? If you are considering a dive computer, do you prefer a wristwatch style? If you are considering a wetsuit, do you typically run hot or cold (i.e. always bundled up or not)? Arrange the following in order of importance: Comfort, Function, Color, Brand, Lightweight. Have you done prior research on equipment? Were there any brands or products that caught your eye? How would you describe your purchasing preference?